Flying to Great Exuma is truly an experience you'll never forget. You'll take off from Miami and within 20 minutes you're looking down at the most beautiful water. 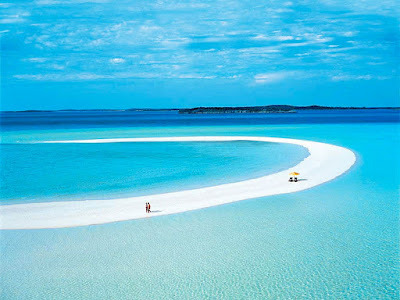 Sand bars stretch for miles surrounded by gorgeous turquoise blue and no vegetation in sight. Just 20 minutes more and you're seconds from landing. All you'll see out your window is the lush green trees from the untouched island land and the serene white sand beaches touched by ocean of a color that I cannot even begin to describe. 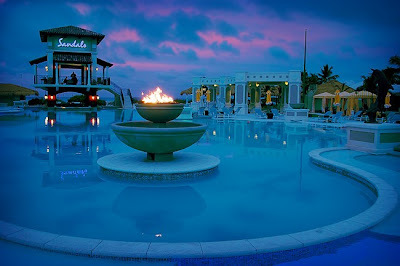 Once on the island you'll experience that beautiful water firsthand. The very first time you see it I guarantee you'll be speechless. 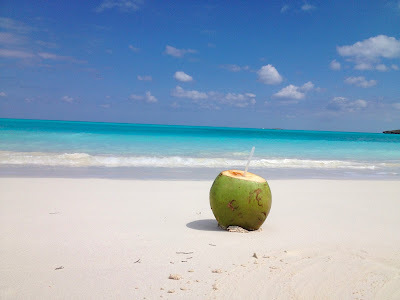 From the electrifying light blue color, the smells of salt water mixed with tropical flowers, the hushed sound of waves breaking at the shoreline, to the softest white sand your feet will touch-- the perfection of Great Exuma is apparent to all of your senses and will leave a lasting impression in your heart. Breathtaking Beauty: It isn't just the water that will have you breathless. The resort and it's surroundings are designed with luxury in mind and from the beauty of the impeccably manicured grounds, to the setup of their opulent main pool. 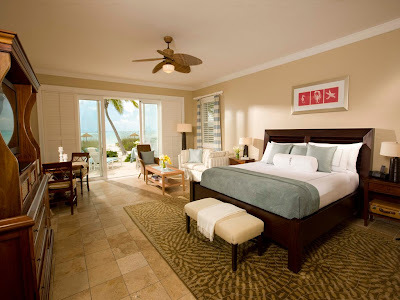 From the moment you pull up to the lobby and are greeted with a cold towel and a glass of champagne, to the moment your butler whisks you away to your beachside suite, you will be treated like royalty. Gorgeous Suites: Slide off of your own personal hammock in the sand and step onto your own private patio with two lounge chairs. Through the sliding glass doors you'll enter your comfortable suite with a sitting area and a king sized bed. Then enjoy a five piece bathroom including a water closet, a stand up shower, a soaking tub, and double sinks. Looking for ultimate luxury? Go all out and stay in the top suite. Enjoy a massive master bedroom on the top floor, a living room and dining room on the first floor, and a patio complete with a private pool. Personal Butler: Don't worry about a thing, your personal butler has you covered. Skip the check-in process and your butler will do that for you in the comfort of your suite. Allow them to pack and unpack for you, and whatever you need they will be at your beck and call. Want drinks or food on the beach? Their pleasure! Want chairs reserved for you? Of course! Need to make dinner reservations? No problem! With your own personal butler all you have to do is ask and you shall receive. 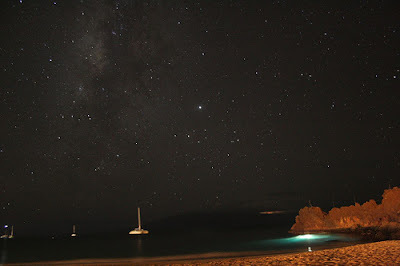 Stargazing on the Beach: Imagine a beach so bright and beautiful during the day yet just dark enough at night that you can see stars you didn't even know existed. Wait until it's truly dark and then venture out to the beach (or your personal hammock if you're lucky enough). Lay back and bask in the wonder that is our universe. If you're lucky, maybe you'll see a couple of shooting starts. Don't forget to make a wish! 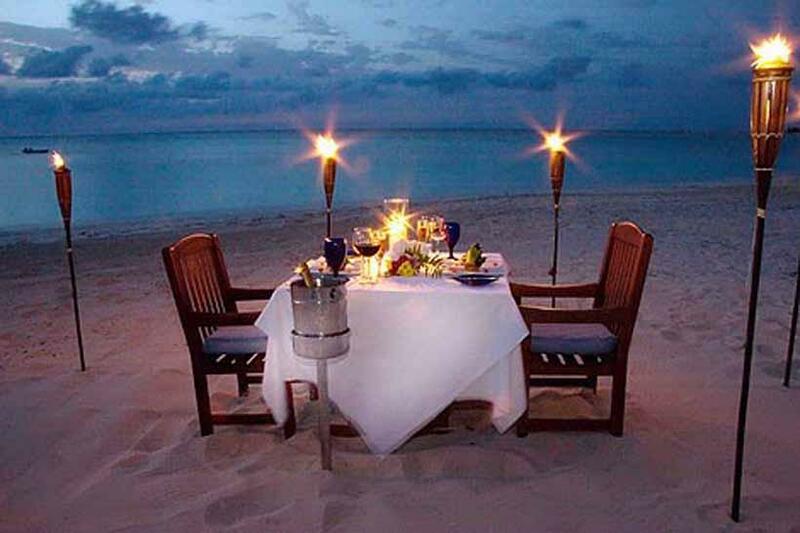 Private Candlelight Dinners: Its just you and the one you love, toes in the sand and a five course meal being presented to you by your own personal waiter. The sound of the waves gently lapping at the shore make the perfect background to your conversations about all the things you love about this vacation and each other. After dinner, you get up and take a walk down the beach, hand-in-hand. No paycheck to wait for. No tip to leave. More time to focus on each other. 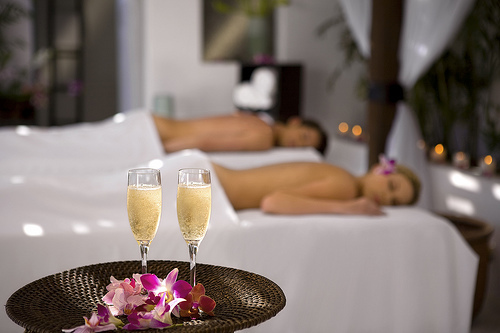 Couples Massages: After working so hard to earn your vacation and then the stress of traveling to get there, the best way to kick off your time in paradise is with a couples massage. Lay next to the one you love while the scent of lemon grass tickles your nose and your massage therapist takes you to a level of relaxation you haven't been to in years. Or, if you really don't want to miss a moment of beach time, arrange for your massage to be sea side, and let the waves lul you into a relaxing trance. 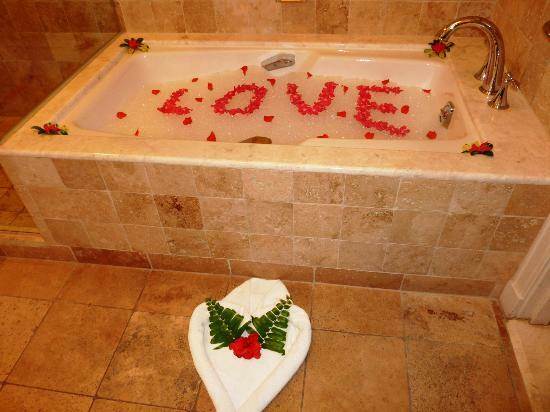 Bubble Baths: Return to you room from an evening of five star dining to a warm bath drawn by your personal butler. Flower petals will decorate the tub and their scents mixed with bath salts will create an aroma sure to relax you in seconds. Soak in the tub together and feel the warmth sooth your sun-kissed skin. The perfect way to end a relaxing and romantic day is wrapped in the arms of the one you love, washing away all the cares of the outside world. 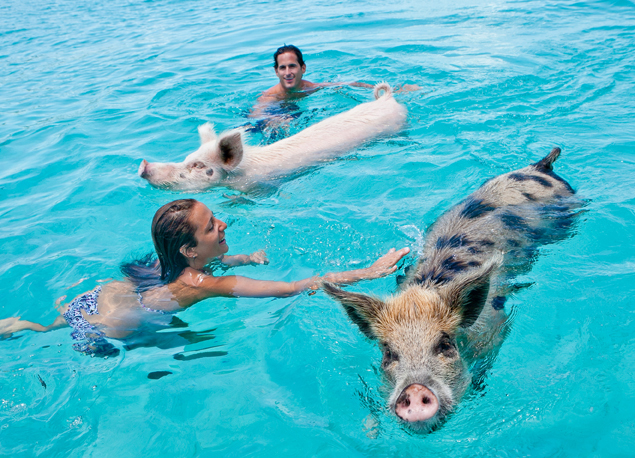 Swim with the pigs: This is one of the highlights of Great Exuma. The only place in the world where wild pigs have their own private Cay and take to the water daily to swim with tourists. It's been a local tradition for boaters to drop by with tourists to feed the pigs and then jump in the water and swim alongside them. This really is a once-in-a-lifetime experience only available in Great Exuma! Swim with the marine life: If you're a fish and dolphin lover like me, grab your snorkel gear and jump right into the water. Some marine life feel comfortable enough to swim close to the locals. With water as clear as it is here, you'll be sure to see more than just a fin or two. Get up close and personal and see dolphins, sting rays, turtles, and more marine life all in their natural habitat. 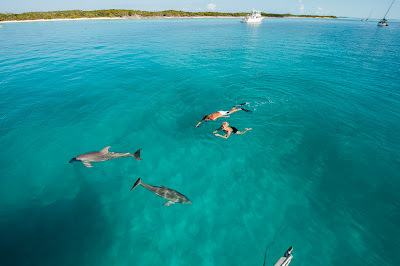 You can even swim with friendly (harmless) nurse sharks in Compass Cay! Jump into adventure: Take on of the island tours that brings you to this gorgeous grotto made famous by James Bond's "007". You don't have to be a Bond fan to appreciate the beauty of the grotto though. 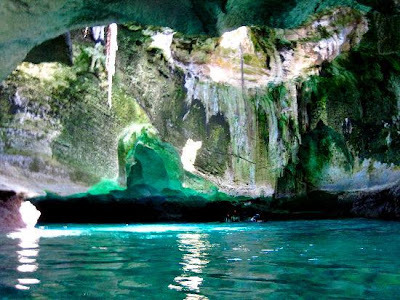 Think of all of the things you'll see when you're swimming and snorkeling through this nature made cave. Paradise Found: Not looking for adventure but rather some peace and quiet? Consider spending a little time on one of those amazing sand bars you flew over when you arrived. 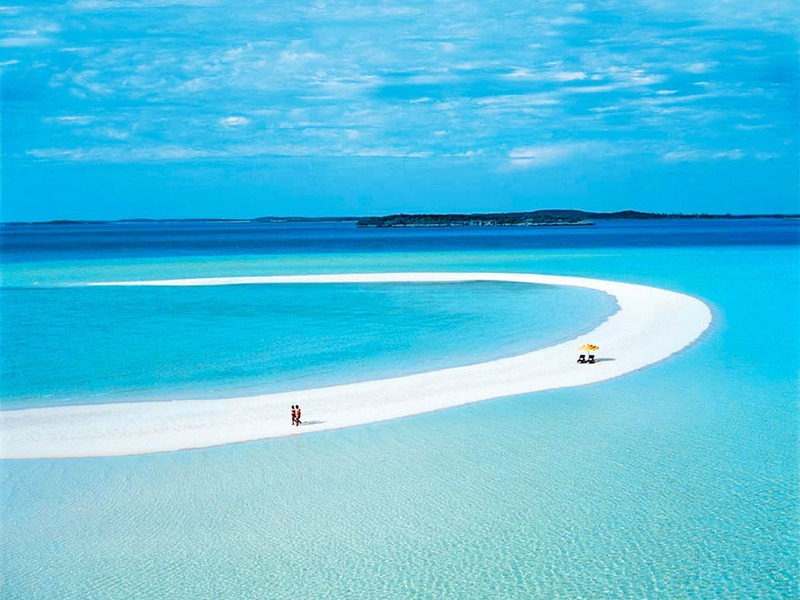 Some tours will stop at the sandbars and allow the guests to get off of the boat to swim and snorkel, while other prefer to pay a little more and spend a whole afternoon one one, alone. It will be just you and whoever you choose to bring, enjoying the privacy of the long stretch of soft sand surrounded by ocean. The true definition of paradise. A Golf Lovers Paradise: Imagine golfing with this view! 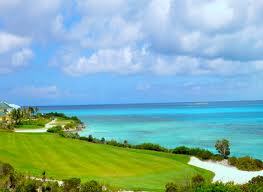 At Sandals Emerald Bay you'll be playing on this Greg Norman designed 18-hole course overlooking this gorgeous view. 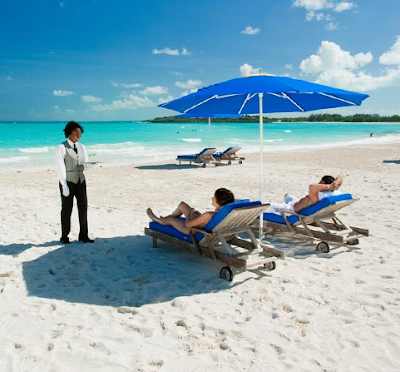 The best part is, golf is complimentary to all Sandals guests. 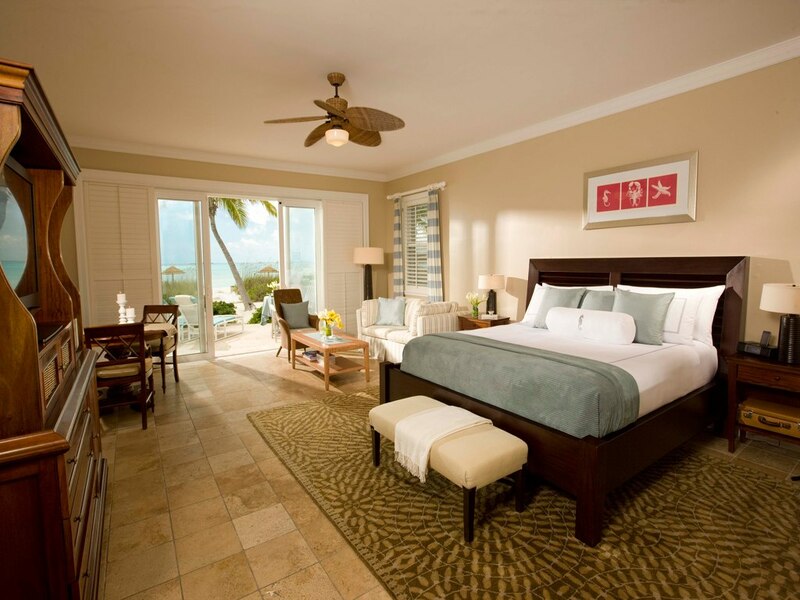 Concierge suite guests get 2 free rounds and butler guests get unlimited rounds. 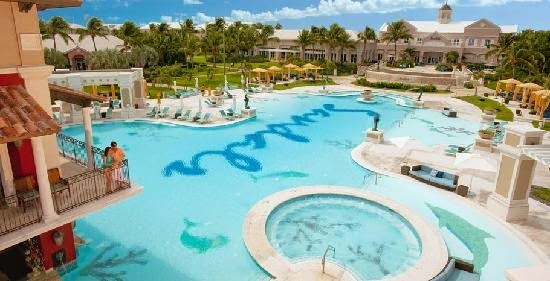 When you're done golfing, head down to the water sports department and enjoy unlimited water sports like sailing, kayaking, snorkeling, diving, and more-- all free for Sandals guests. 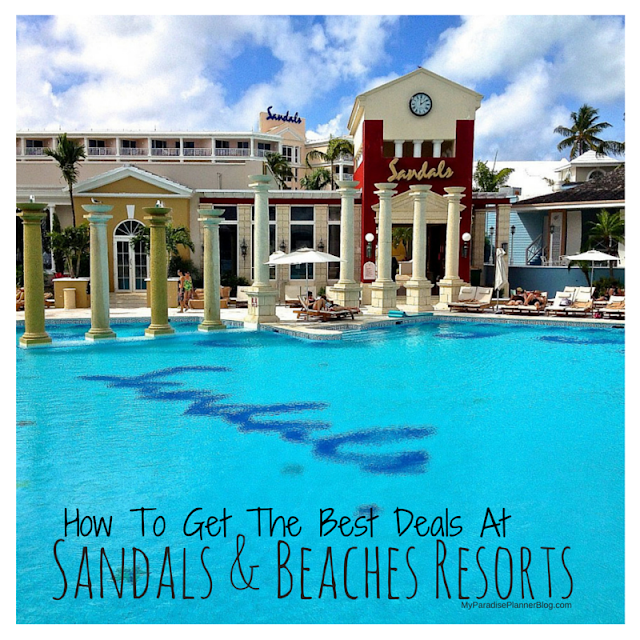 Book Now: Sandals has some great deals that go on all throughout the year. The best part is when you book with us, if the price of the room goes down, we can have it matched for you, as long as final payment hasn't been made. So you never have to worry about waiting for a good deal in order to book.